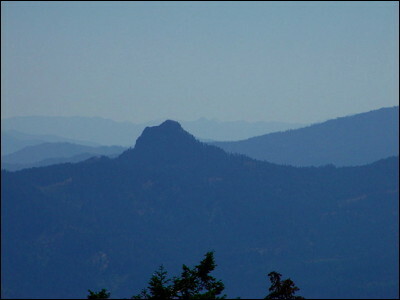 Pilot Rock, a well-known landmark in southern Oregon, guided travelers over the Siskiyou Mountains. An old Indian trail as well as miner and fur trapper trails passed nearby. It is also an ancient vision quest site for Takelmas and Shastas. The Takelma name is Tants'atseniphtha which means "Stone Standing Up."